Today we had the privilege of conducting a Wisdom for Mothers conference outside of Nairobi. 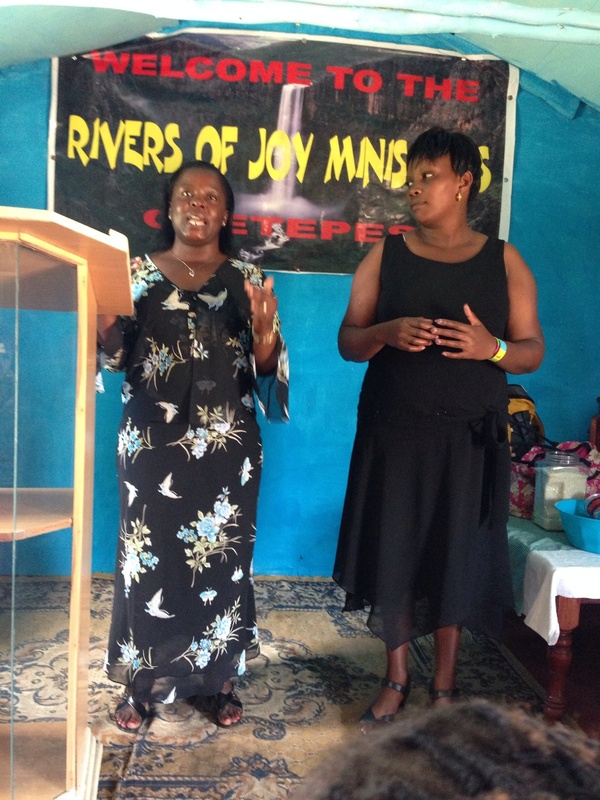 The spirit was very sweet within the River of Joy church. Our language differences was no match for the Holy Spirit. The sweet aroma was evident all throughout the day. Lori taught that the first relationship should be the foundation of all other relationships. Debbie did a visual demonstration on how to have a quiet time. Joyce spoke on our relationship with our husbands. Linda talked about our relationship with our kids. She presented a great visual of how we as moms should give our kids the gift of a blanket of love. Interspersed throughout was worship in the Kenyan way and the American way. Our favorite time was when the ladies prayed for us all together in their own language. It was such a sweet and powerful ending to a great day. Tomorrow we start sewing. Some of our conference participants during lunch. Newer PostSpain: San Sebastian- here we come!